Pollio said the district will be surveying the community and asking for input in regard to the school assignment plan this Fall. 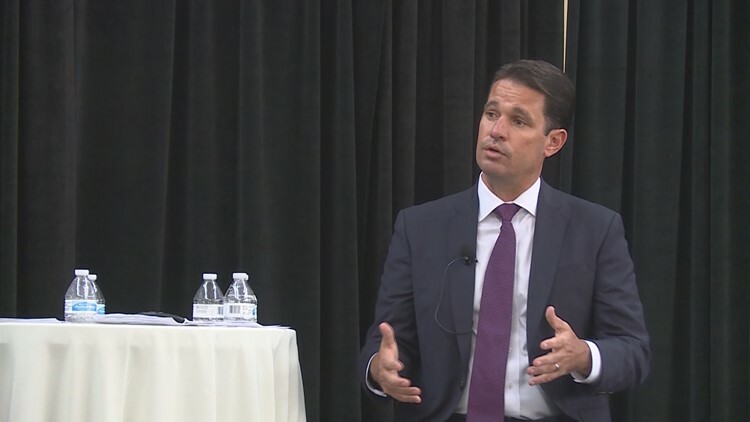 LOUISVILLE, Ky. (WHAS11) -- With school starting less than a week away, Superintendent Dr. Marty Pollio met with community members with a big interest in JCPS. In new comments, he's also talked about the big question mark looming over JCPS: How will the district respond to the state takeover recommendation? Pollio told WHAS 11 News that an ‘agreement proposal’ is in attorneys hands but will likely be sent to the Kentucky Department of education soon. He and the board met for about three hours Tuesday night in executive session to discuss how they would approach the recommendation of enhanced oversight by Interim Education Commissioner Wayne Lewis. “It's not something that they're going to just say 'fine, yes or no,' they really want to make sure that we do this right, that we do what's best for the kids of Jefferson County,” Pollio explained. Pollio spoke in front of the community at a forum hosted by the Louisville Urban League and Metro United Way, where members in the audience also asked questions about the student assignment plan, which was a target of that state audit. He said the district is falling short when it comes to diversity and said he also wants to improve school choices but made a point to say it's something he thinks can be handled here. Pollio said the district will be surveying the community and asking for input in regard to the school assignment plan this Fall. They will be looking for clear understandings of what the community wants from all ends of town. He also talked about Vision 20-20 and the expectations he has for 101,000 students this year.